It was an exciting 2 days of competitive swimming at the Good Hope Pool in St Paul’s where just over 300 registered swimmers from primary schools throughout the island participated in the CIBC-FCIB Inter-Primary Schools swim competition. 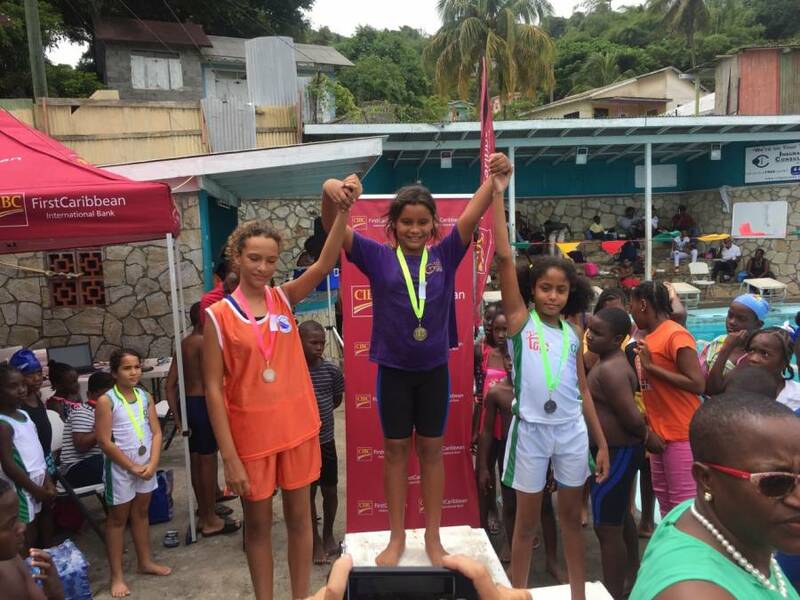 From novice swimmers to more competitive swimmers the 2-day event augured well for the development of the sport in Grenada. The event was coordinated primarily by the Ministry of Sports with support from the Grenada Amateur Swimming Association (GASA) and the meet’s sponsor, CIBC First Caribbean International Bank. It provided an avenue for the development of competitive swimming in our nation’s schools. With 28 schools registered in the 2017 meet, it was heartening to welcome the return participation of Carriacou and Petite Martinique, which have been absent since 2012. The descent of 300 swimmers on Grenada’s lone 4 lane swimming facility has further highlighted the desperate need for new facilities to support the development of swimming in Grenada. The inadequate shelter, toilet and change facilities posed particular challenges to the staging of this growing primary school event. Despite these challenges, the 2017 Inter-Primary School Swim meet can certainly be hailed as a success. Emerging from the competition several records was broken, and a new champion was crowned for 2017. In the Girls’ competition, Westmorland Junior School placed 1st with 189 points, followed by Alpha Junior with 133.5 points and the 2016 defending champion, St Mary’s Junior School, finished 3rd with 115 points. In the Boys’ division, Alpha Junior dominated to take home the championship with a total of 212 points, dethroning Westmorland Junior School, the 2016 champion, who placed 2nd this year with 169 points, while St Mary’s Junior School placed 3rd with 129 points.